I'm creating a package that uses etoolbox toggles but a good amount of the package is written in Lua. Is there a way to access the etoolbox toggles direct in Lua? I know that etoolbox uses a separate namespace for it's bools, but I can't find a way to access bools created by \newif in Lua either. 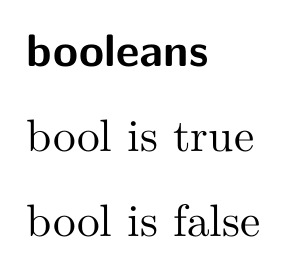 Stealing Ulrike Fischer's solution to Querying the state of a boolean from lua seems to work. Of course the same caveats apply: It is not clear to me why mode (described in the June 2018/1.0.9 version of the manual in §10.6.3, p. 209 as "a number either representing a character or another entity") is the correct thing to compare. We just have to know that etoolbox toggles have only two values: \etb@toggletrue or \etb@togglefals and that the toggle foo is \etb@tgl@foo. The code now has two functions is_etb_toggletrue_tok that takes a token as produced by token_create or is_etb_toggletrue_name that takes a string with the etoolbox name of a toggle. etb_toggle_true is assigned on each run of is_etb_toggletrue_tok, I'm not sure if that is good practice or not. But I wanted it in the smallest possible scope. Not the answer you're looking for? 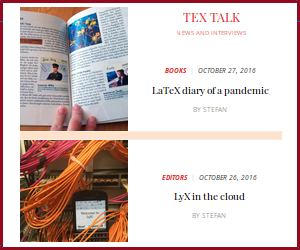 Browse other questions tagged luatex etoolbox or ask your own question. How can I undo an etoolbox patch? How to use bashful package from inside etoolbox list processing? Help integrating some LUA code into a Luatex document? How to access \pdffeedback values in lua code?